The best value at the ballpark. Bisons Season Tickets represents OVER 50% IN SAVINGS while you get a ticket to all 70 games of exciting baseball action and great family-friendly entertainment. And not only do Bisons Season Ticket Holders have the best perks at the ballpark, there is no price increase for 2019, keeping the best deal in town going strong for another season! 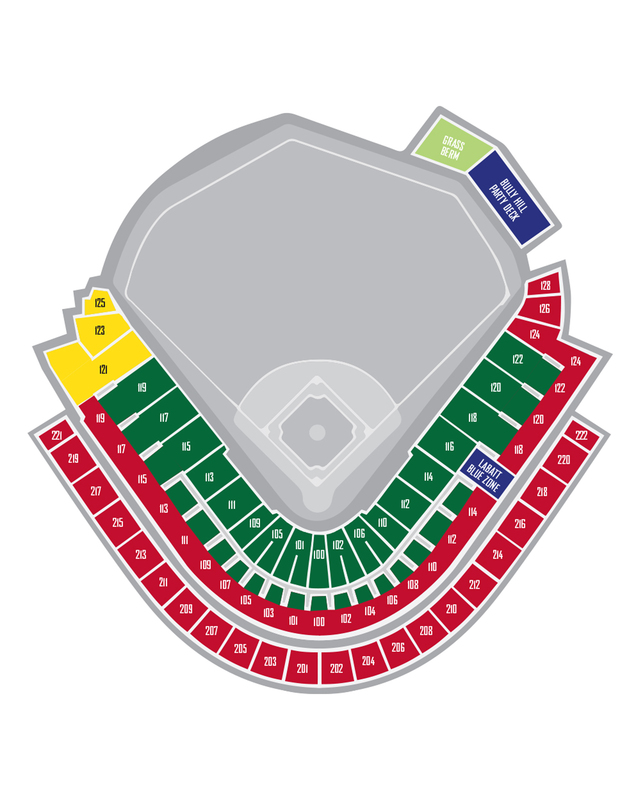 Tickets are available in the newer, wider 21' green seats in the lower level of the main section of the ballpark as well as in the red seats up under the cover and on the club level. NEW IN 2018! We are extremely excited to introduce this new Season Ticket Holder EXCLUSIVE benefit this season. For all giveaway days this season, Bisons Season Ticket Holders ONLY will be allowed into the ballpark 20 minutes early through a special entrance! Beat the rush, add to your Bisons' collection and get even more value from our season ticket holder package with this new exclusive benefit! Click 'Learn More' for more information and policy questions and answers. No ticket is ever wasted! Exchange unused tickets for future games! $25 in Concession Bucks, for every seat you own! Early entrance into the ballpark & special line on giveaway days! Full color calendar with deals on concessions, merchandise & more! Have Game Notes & Free Concession Coupons sent right to you! Special prizes given to one Season Ticket Holder at every home game! End-of-season lounge with food, giveaways & special renewel offer! Get the first opportunity to purchase your seat for the playoffs! One free ticket per account, Special pricing for additional tickets! We want to tailor your season ticket purchase and your seat location to your exact need, so you get the most enjoyment, value and experience out of your commitment to the team! To do so, a Bisons representative will reach out to you directly to discuss all seating and pricing options. To help us on that path, please click below to fill out a brief questionnaire and we will be in touch!